Arcadia Group manages its household-name store brands from two locations in London and Leeds, staffed by 720 employees. The group has plans in place to ensure it can continue to function in the event of a major incident affecting these premises. Fire, flood, terrorist action, the loss of key networks or the failure of major suppliers are among the threats to be considered. Like most companies, Arcadia faces a dilemma. It must balance a commitment to business resilience against the everyday costs of preparing for rare and unpredictable events. Most businesses focus on provision of alternative bases – ‘work area recovery’ sites – to be brought into use in an emergency. Arcadia recognises that being able to transport staff to its recovery sites is equally critical to business continuity. Obtaining such provision on constant standby would be prohibitively costly. Given the unforeseeable circumstances of such a scenario, it would also be largely theoretical. First Travel Solutions worked with Arcadia to draw up an operational plan for this element of business recovery. If the emergency plan is triggered, we will respond instantly via our round-the-clock control centre. We will draw on our unrivalled network of over 1,700 coach and taxi providers to provide the swiftest possible transport. Immediate access to the most dependable transport possible in the event of an emergency gives Arcadia peace of mind. The solution is highly cost-effective: the group pays a small retainer, with the main fees triggered only in the event that the plan is invoked. We work closely with Arcadia to review the plan. 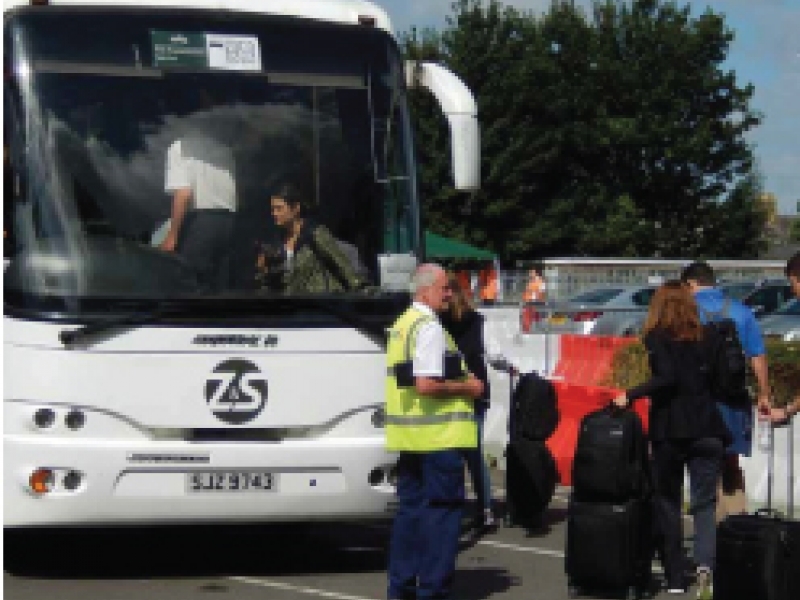 As with all business continuity clients, we offer to collaborate on regular exercises to test the plan and rehearse the swift provision of transport to the required points.